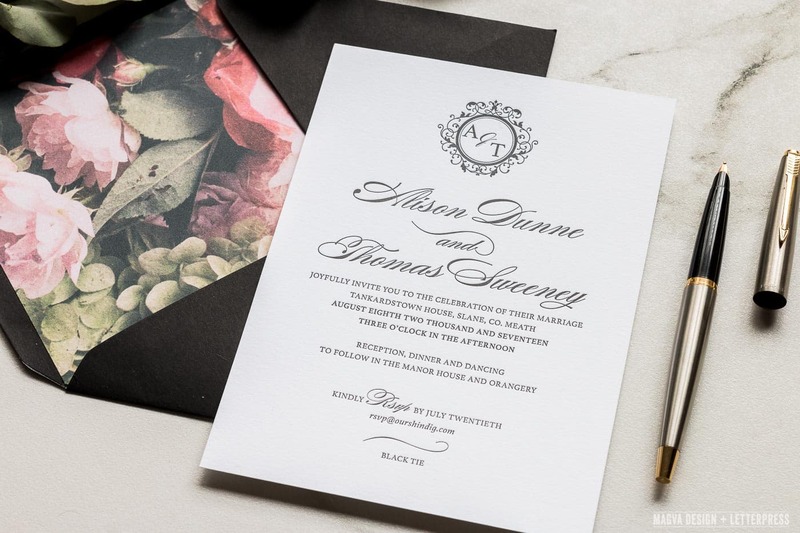 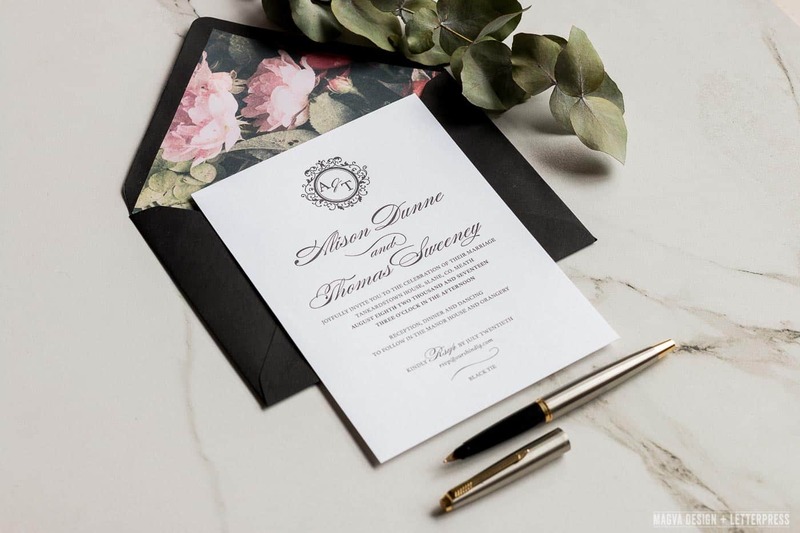 Our Black Tie Wedding Invitation is the perfect introduction to a formal and elegant wedding. 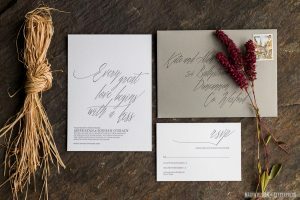  The invitation is letterpress printed on luxurious 100% cotton, Crean's Lettra 300 gsm fluorescent white card stock. 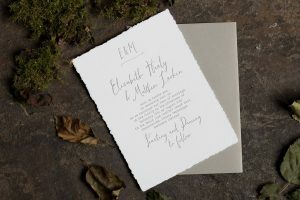 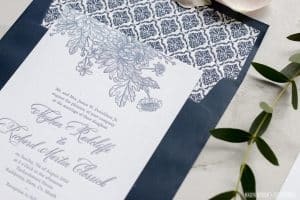 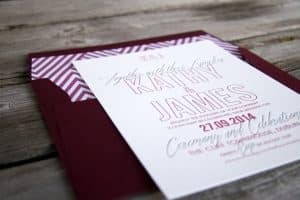 Other stationery pieces to accompany this invitation are also available and include an information/direction card, RSVP, day of stationery and thank you cards. 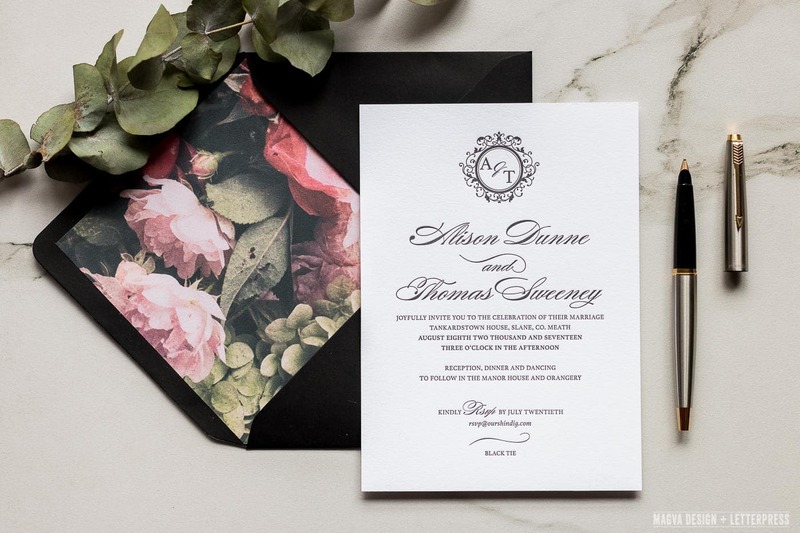 All our invitation stationery suites are supplied with 100% cotton envelopes unless otherwise stated. 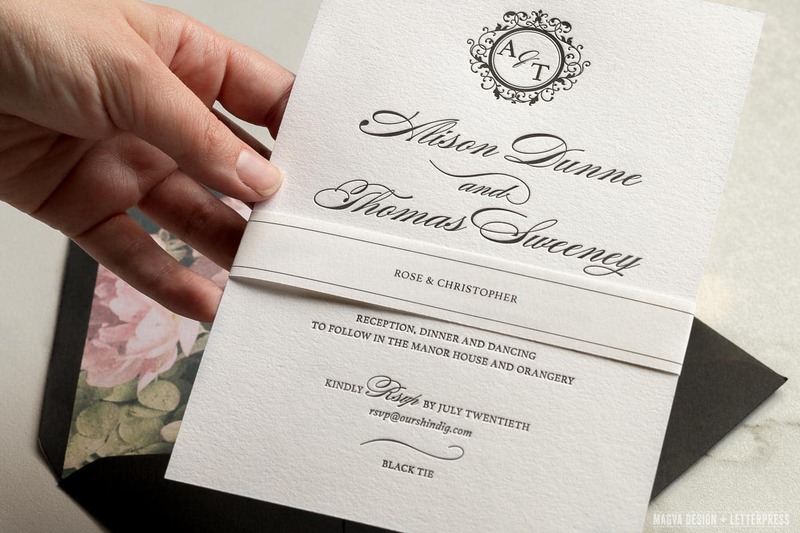 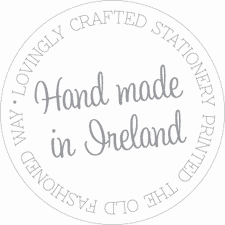 Belly bands, envelope liners and coloured envelopes are additional extras and are available upon request.